We are closed July 4th. Visit our Camps page for more information on our New Summer Camp Programs! City Camp believes every child deserves a wonderful summer. 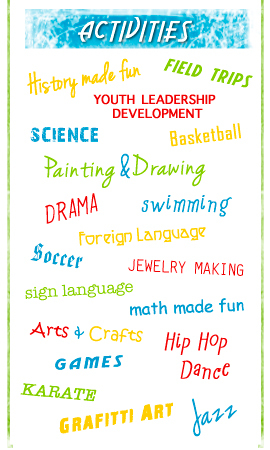 It is our mission to provide youth programming the way it should be – fun, academic and affordable. We accomplish this goal by providing activity based academics, a boat load of extra curricular activities, crazy theme days and super fun trips for Campers ages 4 1/2 to 15. Daily campers will learn, explore, develop, make new friends and have an amazing time doing it! With non committal enrollment and affordable prices, City Camp has something for everyone! Programs are noncommittal. 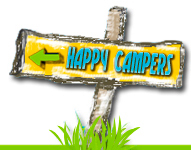 Campers can attend every week or just one week. Drop in daily service is also available. The choice is yours. We offer Camps for Campers age 4 1/2 – 12 years of age and Counselors in Training (CIT) programs for ages 13-15. Is your child too young to stay home alone, but too old for day camp? If so City Camps Counselor In Training Program is just the program for your teenager! Our CIT program gives teens and preteens an opportunity to have an exciting summer while learning fundamental leadership skills. Visit our Camps page for more info. City Camp offers educational and fun activities everyday! We provide fun weekly field trips that change weekly and may include water sports, parks, shows and so much more! View our Field Trips & Program Updates page for more information on our field trips, activities and City Camp hosted events! Parents can join in the fun too… join us for our Yearly FAMILY FUN DAY! View our FAMILY FUN DAY date and times on our Field Trips & Program Updates page! We have worked hard to ensure summer camp is an awesome experience for all Campers!